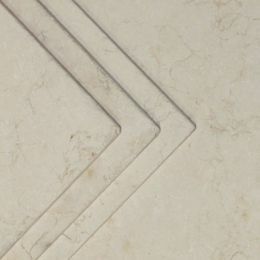 The Jerusalem Antique Gold Limestone is a pale gold floor tile pattern, with gold and ochre veins throughout. 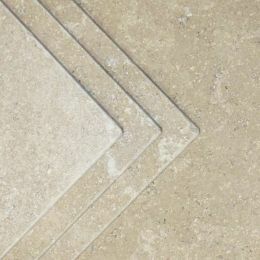 All tiles have a tumbled finish giving a mild, matt, texture and soft rounded edges. Install with white adhesive and sealer with LTP Colour Intensifier & Stainblock or Mattstone. 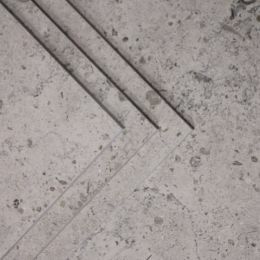 Beautiful Portuguese Moleanos limestone with a blue undertone and an even spread of grey/blue fossils. 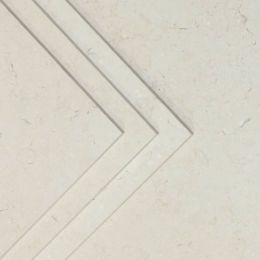 These tiles are honed for a smooth, matt surface and come with bevelled edges for easy grouting. All tiles are calibrated to a 15mm thickness to aid installation. Install using white adhesive to avoid colour bleeding, and seal with LTP Colour intensifier or equivalent for best results. 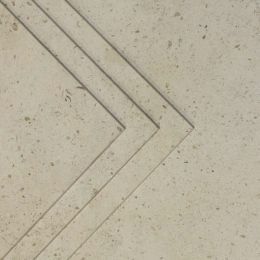 Part of our range of Portuguese limestone, the Moleanos Beige honed limestone is a gentle beige tile with evenly scattered fossils running throughout. 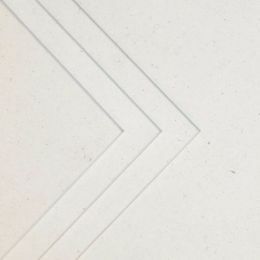 The tile comes with a bevelled edge and a consistent 10mm thickness, ideal for use on floors and walls. Complete with honed surface which is completely flat, and a matt surface finish. Lay with a white adhesive and seal with LTP Mattstone.